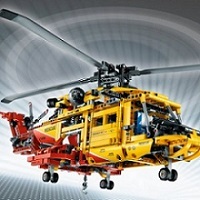 CASA have released the second version of Part 91, General Operating Rules. These should have been released earlier, but to CASA's credit, they have revamped them from the original 2011 version and now they are better written, etc. To put them in perspective, the general rules relate to the regular rule set and cover fuel requirements, VMC requirements, give way, etc. They are the 'base line' rules and where further restrictions (charter operations - Part 133/135) or exemptions (Airwork - Part 137) these will be regulated in an appropriate part. But these are the day to day rules and will certainly relate to private pilots who won't need the exemptions or restrictions. The Part will contain the rule, aircraft are to be marshalled, or aircraft are to be operated in VMC, and the MOS will contain the details, eg marshalling signals will no longer appear in the CAO and the VMC tables will no longer appear in the AIP. The fuel requirements are mainly in the MOS. Existing rules are scattered throughout the Civil Aviation Act, Civil Aviation Orders, Civil Aviation Regulations, the Aeronautical Information Publication, Civil Aviation Advisory Publications, Advisory Circulars, Airspace Act and Airspace Regulations. CASR Part 91 consolidates that material. In Part 91 there are approximately 270 individual regulatory items. Of these, 55 are new or altered requirements. Some changes at random; Hot re-fuelling of turbines only, a firearm can be carried on an aircraft with the written permission of the PIC. CASA will still regulate the discharge of a firearm from the air, etc. An important change is that is a flight lands and the fixed reserve amount is not intact, it is a immediately reportable matter. If you make an in-flight calculation of fuel and realise that you are going to land with your fixed reserve part used, you must make a diversion. The pilot-in-command of a radio-equipped aircraft must advise ATS of a minimum fuel state when, having committed to land at a specific aerodrome, the pilot calculates that any change to the existing clearance to that aerodrome may result in landing with less than the final reserve fuel. 6.3 The pilot-in-command of a radio-equipped aircraft must declare a situation of emergency fuel when the calculated usable fuel predicted to be available upon landing at the nearest aerodrome where a safe landing can be made is less than the final reserve fuel. As you see, there is a lot of information to get your head around, so dive in and start reading. ...so dive in and start reading. I think I'll wait for 12 months until they've decided not to make any more changes! Thanks for the heads up Col, time to start reading. Hey Worz', I hear you, but that's why I have made it a point to say that this is the second major re-write. I can't see much changing and it's worth running an eye over to get a feel for it. There will be more advertising when comes live, but if anyone is in management, it may necessitate some Ops Manual amendments.